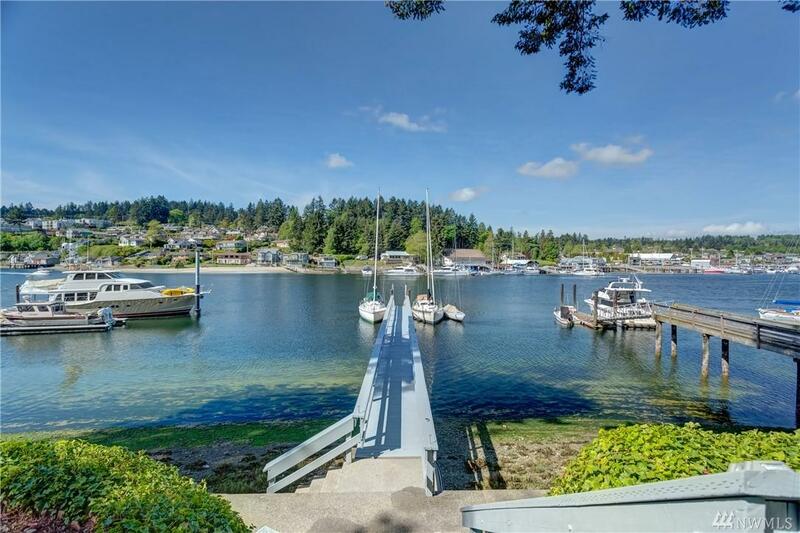 Entertainer's paradise w/80' +/- of Gig Harbor Bay waterfront, concrete bulkhead w/150' dock, deep water moorage, pool, pool house, sport court, 4 decks, wine cellar. 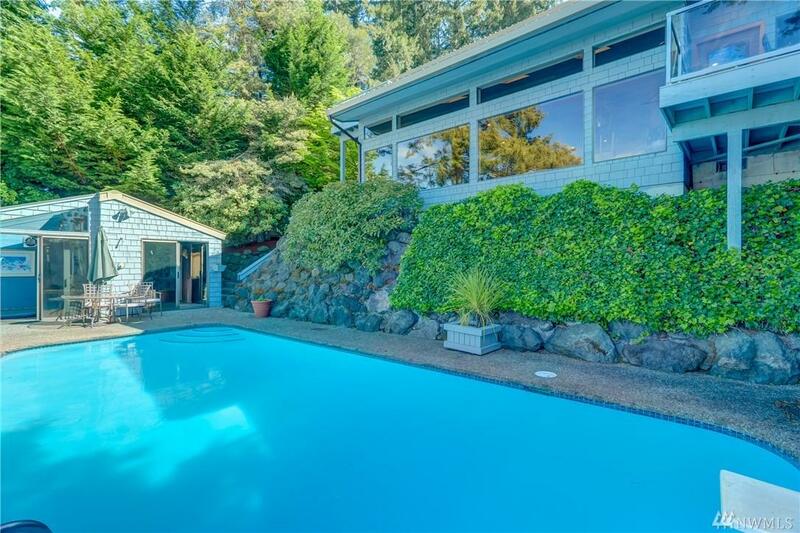 Multi-level home situated on private .59 acre lot w/mature landscaping & bay views from almost every room! LR features hardwoods, wet bar & river rock fpl. DR w/hardwoods, built-ins & door to deck. 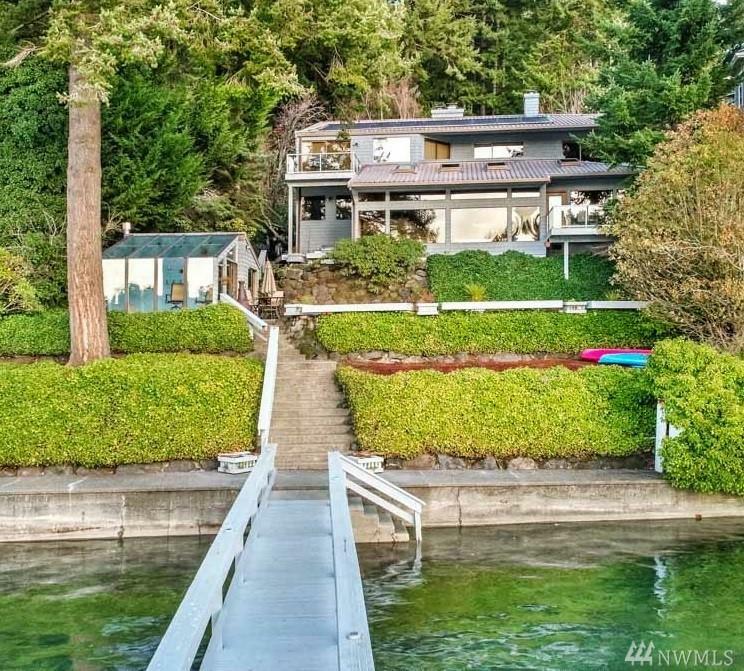 FR w/vaulted ceilings, skylights & door to patio. KIT w/high-end appls. 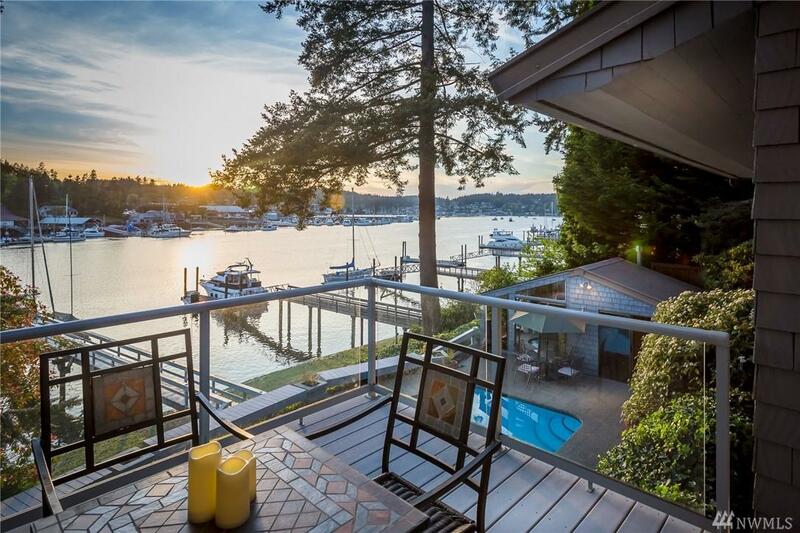 Master w/sliders to view decks, private bth & walk-in closet.